The American Cancer Society and the Commission on Cancer of the College of Surgeons have conducted national surveys of cancer sites since 1976. Several surveys of colorectal cancer have been conducted. For the past two years, the American Cancer Society has also produced an annual patient review. This was possible since over 85% of the 1300 participants have computerized registries. It was possible to evaluate the treatment results of the cancer and the diagnostic and treatment results and tumor stage of the various cancers. 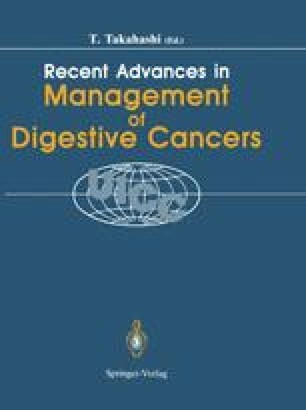 Most recent data indicate an increase in cancers of the colorectal diagnosed in the cecal and ascending colon area as contrasted to the rectosigmoid and descending colon.